Getting ready to send the kids back to school? 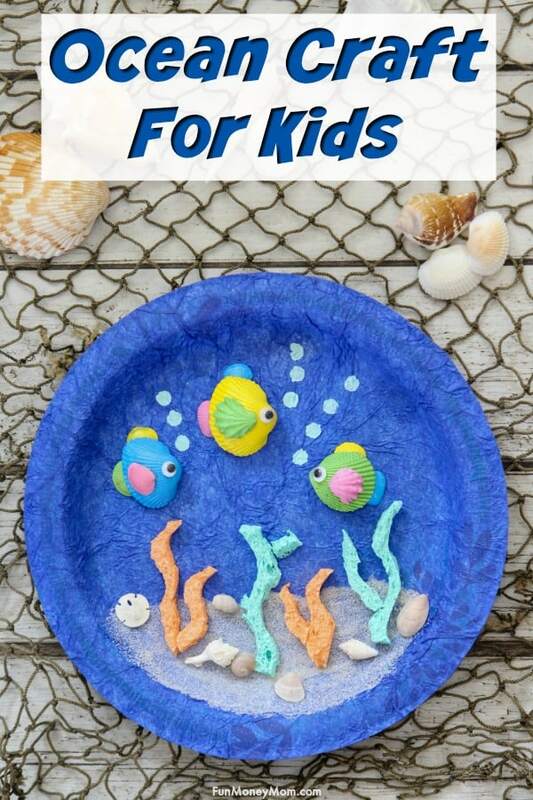 Squeeze a little more family time out of summer with this fun paper plate ocean craft, complete with seashell fish. 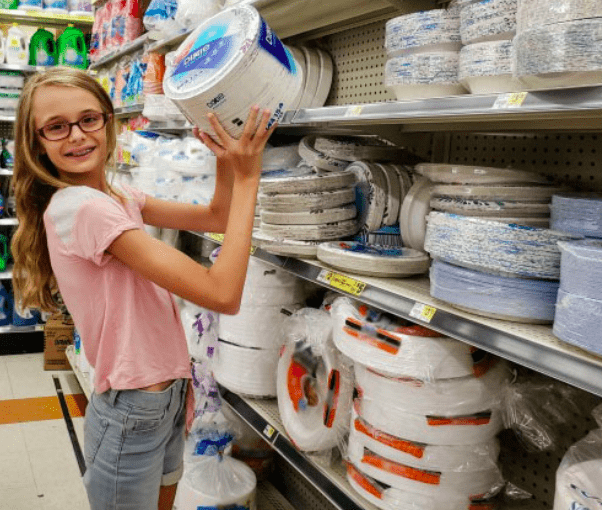 Plus, find out where you should shop to stock up and get the best deals on everyday paper products like paper towels, plates and more. Are you ready for back to school? I’m still trying to figure out where summer went! The girls are excited to see what teachers they’ll have and who’s in their class this year. First things first though…we have to do some back to school shopping! Our back to school list is pretty long. We need clothes, shoes, haircuts, school supplies and any other little things that the girls decide they can’t live without. It definitely adds up, so we go to Dollar General to get stocked up on as much as we can. You can get a good price and good quality, so why spend more money than you have to, right? Plus, since we’re saving money, we can pick up a few extra supplies for the teachers too. 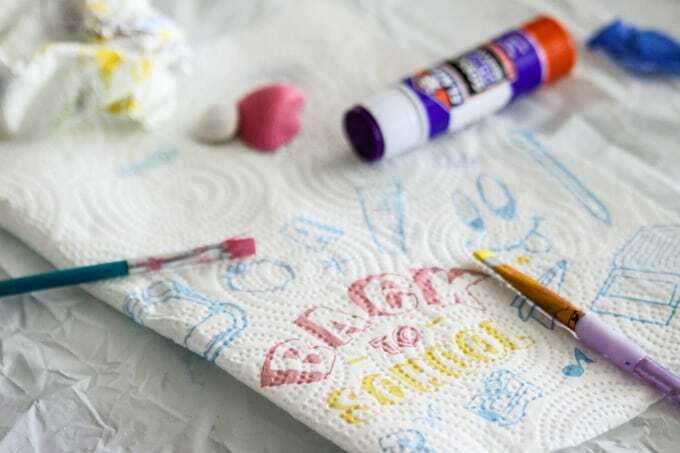 I taught for 14 years and when I did craft projects with a class full of five and six-year old’s, we went through a LOT of paper towels. Just think about how messy one kid can be and multiply that by 20! Teachers need a little help! 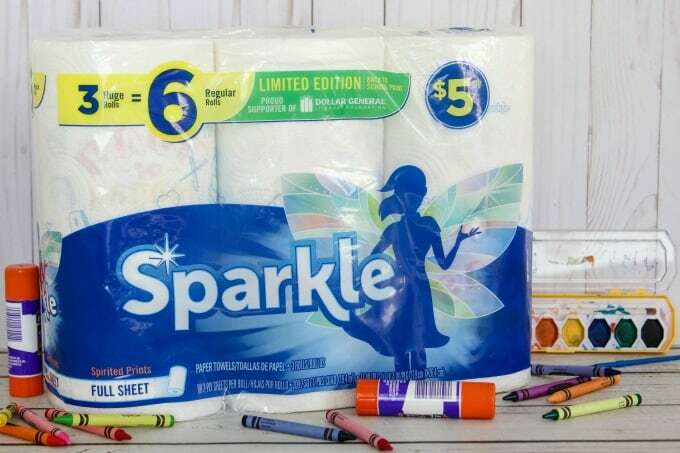 Since they can never have too many rolls of paper towels, we made sure to stock up on the Sparkle® 3 Huge Roll from Georgia Pacific… some for the teachers, some for us. You can locate this product in-stores by category “BTS Set,” OR purchase online. These are going to last awhile because when you buy the huge roll, three rolls equal six regular size paper towel rolls. Plus, buying more saved us money. During the month of August, when you spend $15, you’ll save $3 on participating back to school products. 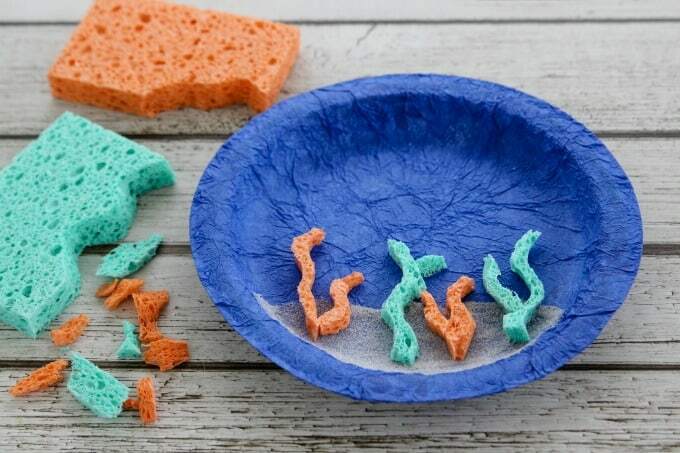 I can use these to clean up messes in the kitchen and the teachers can use it to clean up after messy kids. They even have a super cute Back To School print! Know what else teachers need? Paper plates! 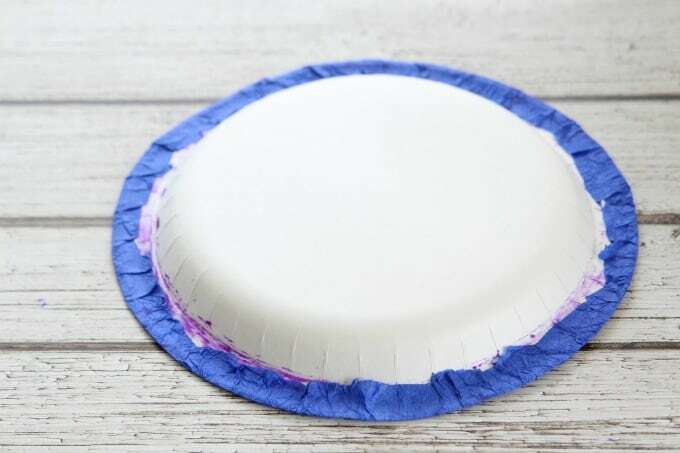 Not only are they perfect for snacks and birthday cupcakes, you can make a gazillion crafts with paper plates. If you haven’t tried it, you should…it’s really fun! Plus, we are super busy this time of year and sometimes we don’t get home until late in the day. There’s homework to do and dinner to make and I’m usually already exhausted. Those are the nights I throw a frozen pizza in the oven and we eat off paper plates. I try not to make a habit of it but it sure does make life easy! We picked up these Dixie 8 ½-inch Megag Everyday Plates. With 154 plates in a package, these may just last all year long! 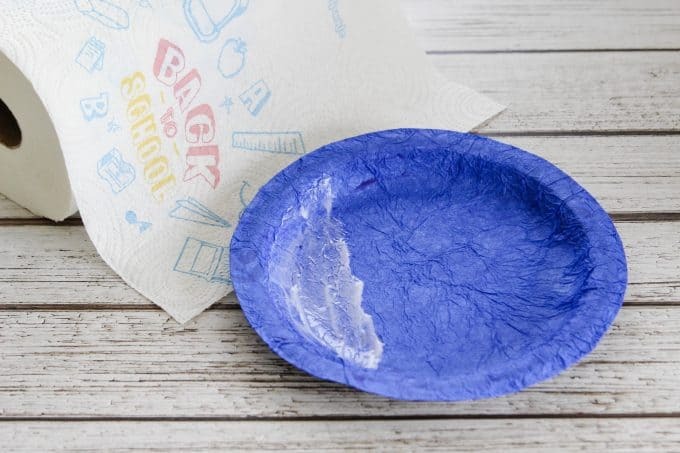 Plus, they’re twice as sturdy than similar store brand plates so it’ll be harder for my kids to drop them and make a mess (though if they do, I’ve always got my Sparkle paper towels to clean it up with). Locate these in-store under the category “Value Pack Set,” OR purchase online. Of course, while we were there, we had to pick up some toilet paper too. I seriously have no idea how a family of four goes through toilet paper so fast. Does yours go through it as fast as mine does? I stock up every time I go to Dollar General…that’s one thing you don’t want to run out of! Keira picked out the Angel Soft Lavender Big Rolls (with a little guidance from mommy). With 12 to a pack, hopefully they’ll last us awhile. The best part is that this big pack of 12 was just $5! 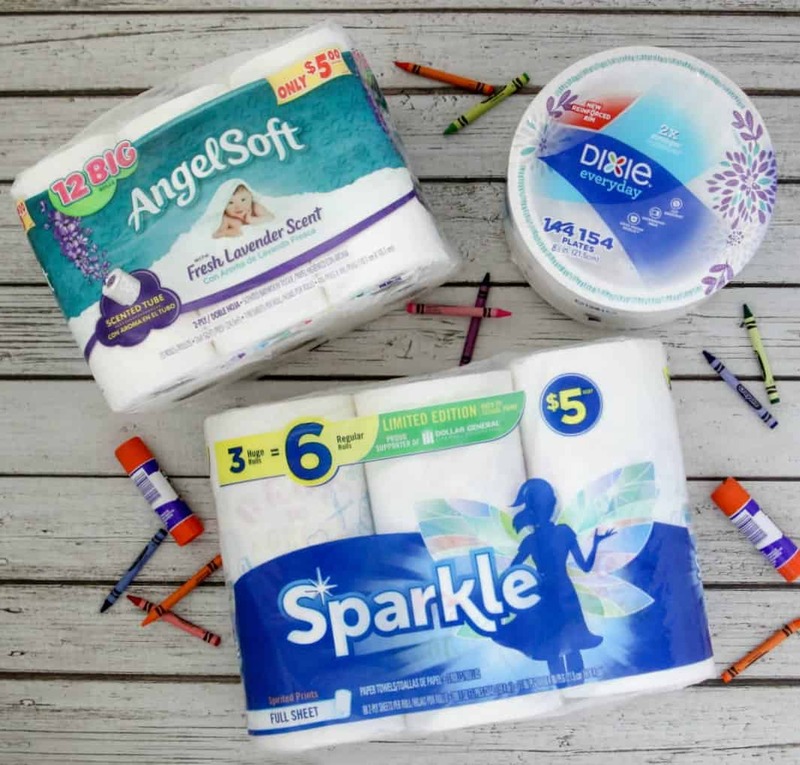 Also, in the month of August you can get Angel Soft Toilet Paper 9 Mega Rolls 2/$15! Locate these in-stores under the category, “Paper End Cap,” OR purchase online. Not only are Georgia Pacific products staples in our house, I feel good supporting them because they give back to the community. This summer they’re helping Dollar General celebrate 25 years of learning by donating to the Dollar General Literacy Foundation. Over the years, this foundation has provided more than $146 million in grants to literacy organizations because they believe that we all deserve access to a basic education. We’d stocked up on supplies but now it was time to have a little fun. There’s not much time left before school starts so I wanted to be sure and squeeze in a little extra family time. 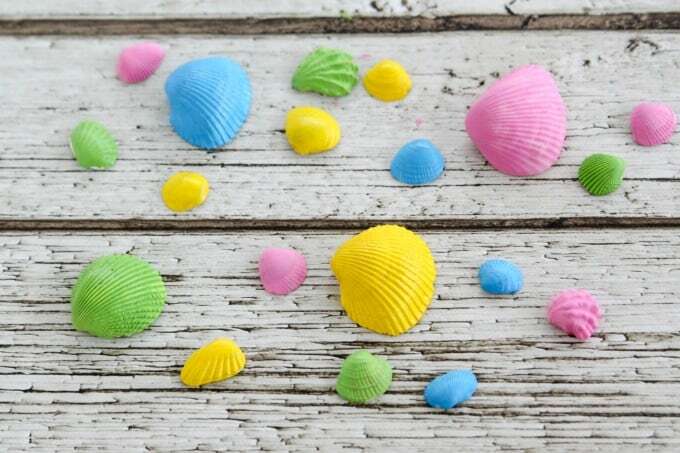 My girls always love crafting and the craft I had in mind even incorporated shells we found at the beach this summer. This is way more fun than keeping them in a bag in the closet! 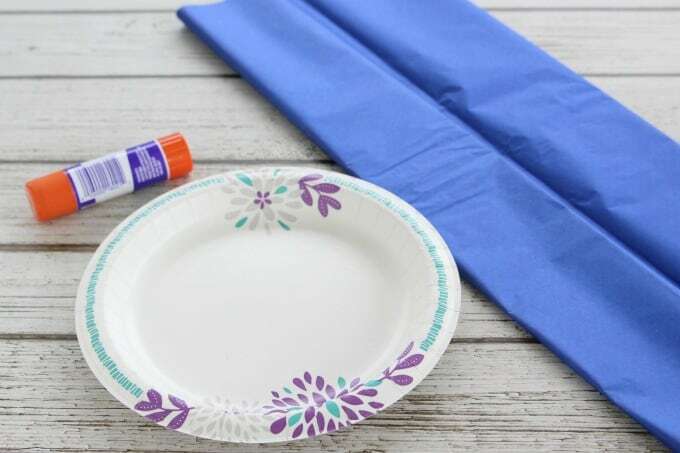 You’ll want to start with your glue stick, tissue and paper plate. 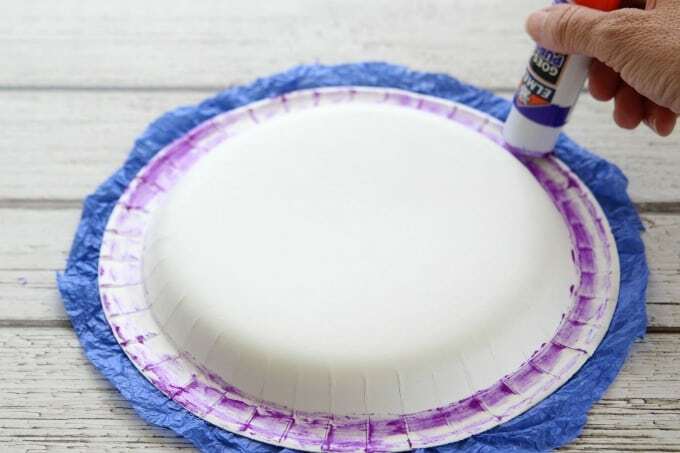 Cover the entire plate with glue. 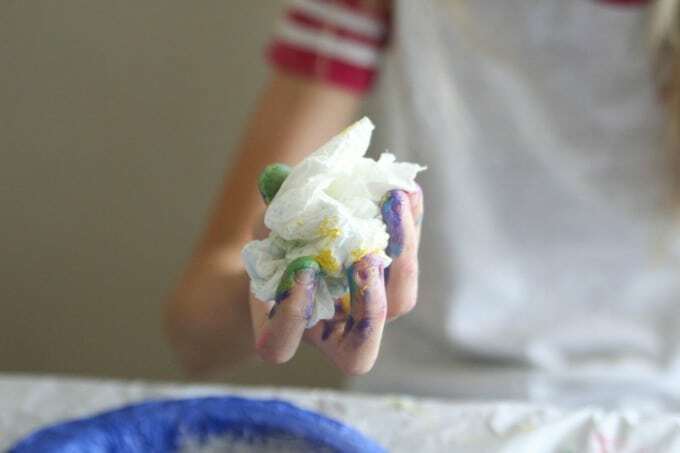 Crumble a sheet of tissue paper to add texture. 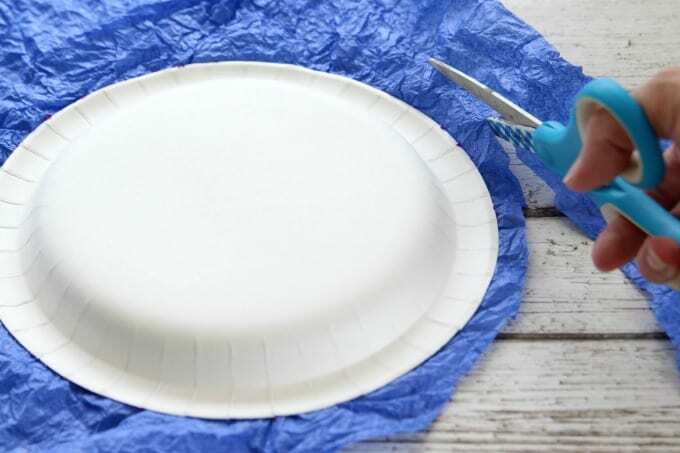 Open it up and lay it on the plate, pushing it down to be sure it sticks to the glue. Now cut around the edges, about 1/2 inch from the plate. Glue around the bottom rim of the plate, just to where it curves up. 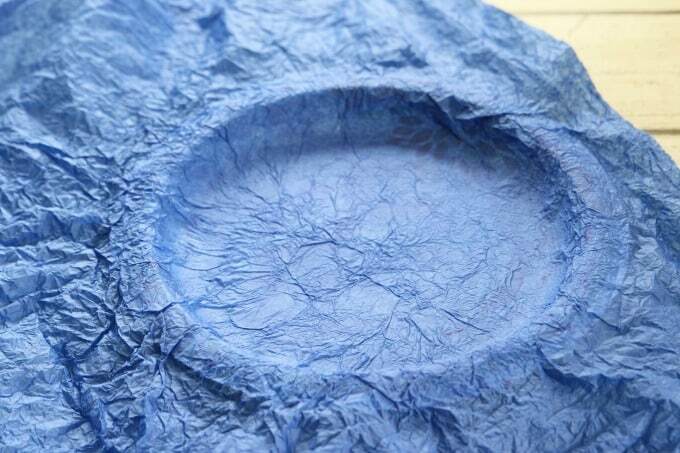 Fold the tissue paper over the glue. 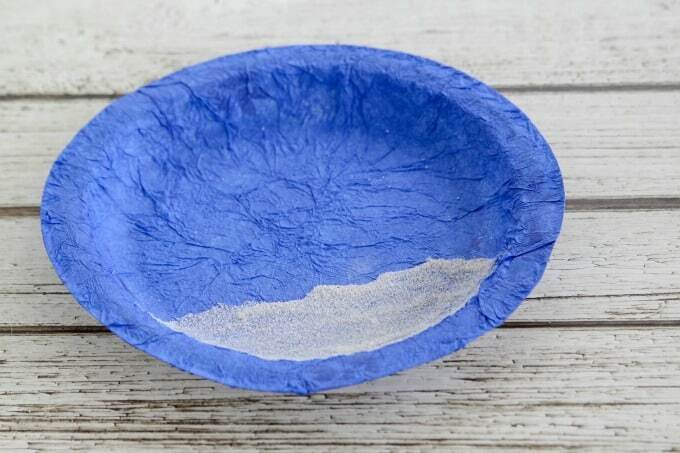 Squeeze white glue on the bottom of the plate and spread it over the area where you’ll want the sand to go. This is where those BTS Sparkle Paper Towels really start to come in handy! 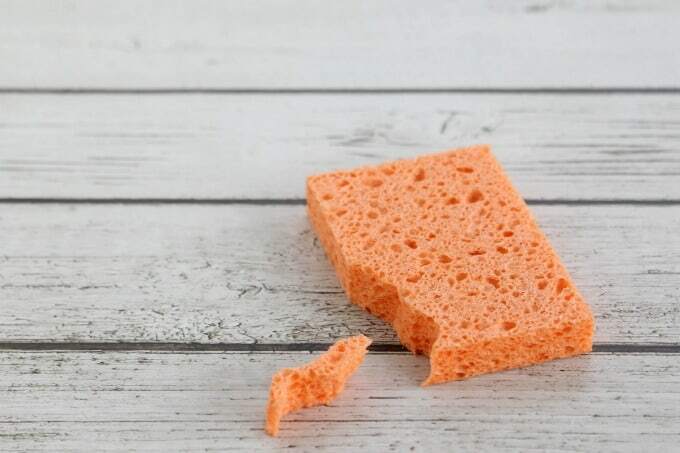 Sprinkle sand over the glue and shake off the excess. 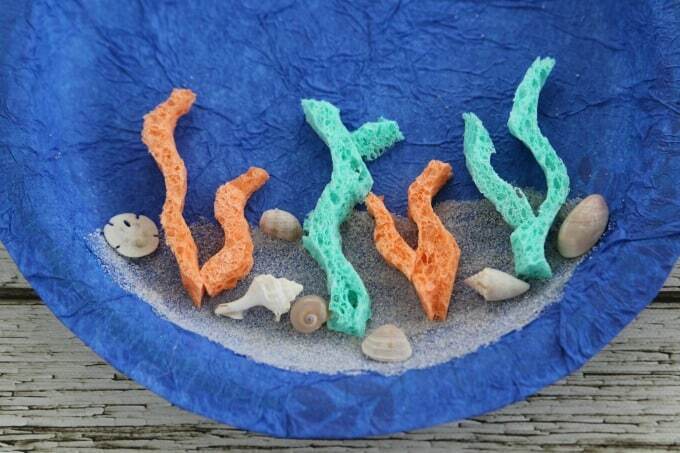 These cheap sponges were perfect for our ocean floor. We cut them into short curved shapes. 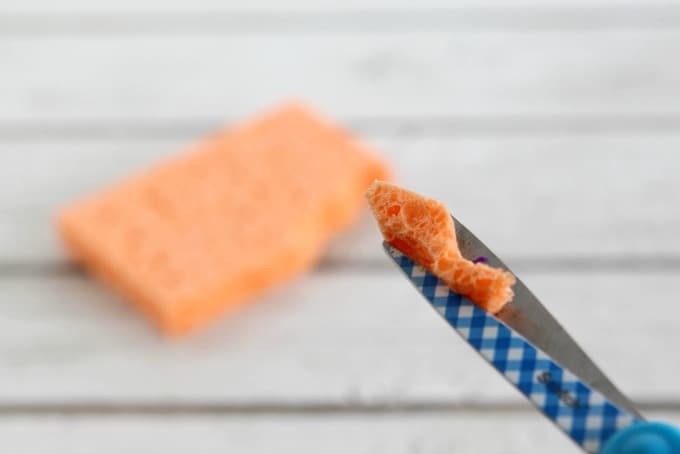 Little ones may need some help with this, since the sponge can be kind of hard to cut. Since we didn’t need such a thick piece, we cut them lengthwise down the middle. Now we had two to use for our ocean craft. We cut a few pieces from a teal sponge too, just to add more color. Once we had enough, we glued them in the sand. Now it was time for our shells. Luckily we’ve built up quite a collection but if you haven’t had a beach trip for awhile, you can always buy a bag from the craft store. 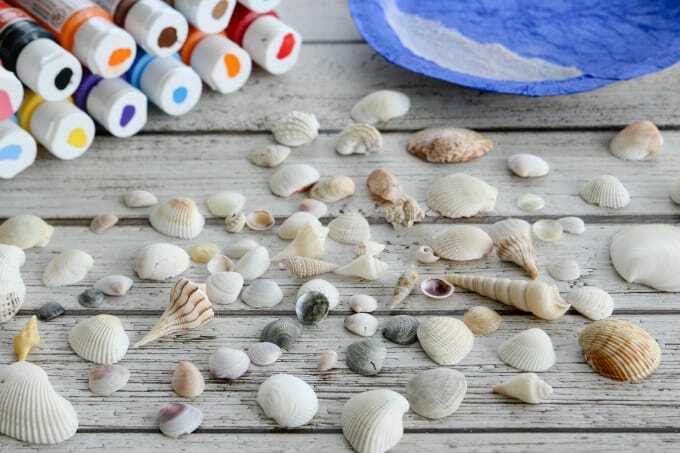 Glue some little shells in the sand. How cute is that tiny sand dollar?! I had collected quite a few during our last beach trip, though I found out the hard way that you can’t leave little ones in bleach too long. They become very brittle and a lot of mine broke into pieces! Luckily this little guy made it! For the fish, you’ll need one big shell and three smaller ones. Paint them any bright colors you like. We used acrylic paint for ours. Glue one to the top of the fish, and another two underneath, one for the top fin and one for the tail. You’ll want them to stick out about halfway. Then glue on a wiggly eye. You can use white glue for this part too or just pull out your glue gun. I usually use a glue gun since I don’t have enough patience to wait for glue to dry. 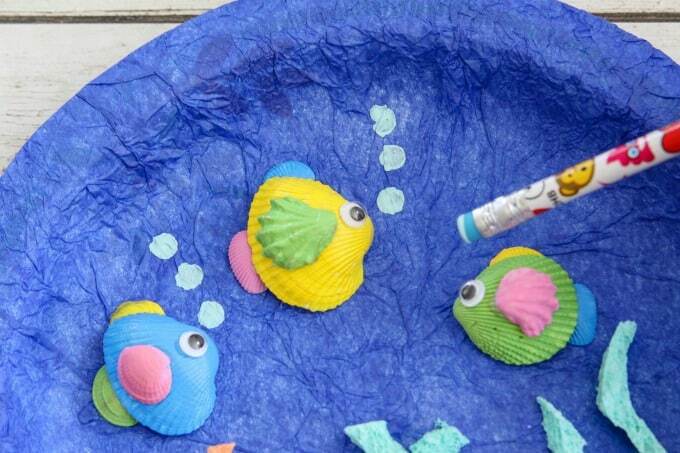 Once the glue holding your fish together dries, glue the fish to the background. Then take the end of a pencil, dip it in light blue paint and make “bubbles”. Now your artwork is complete. How cute is this? 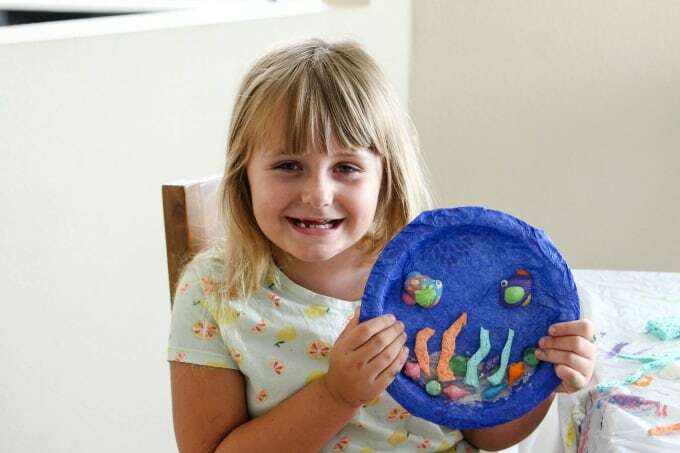 The girls and I had so much fun making this ocean craft and it’s pretty easy for most age groups. I had to help Keira, my six year old, cut the sponges but she did almost everything else by herself. You can see they were super focused! 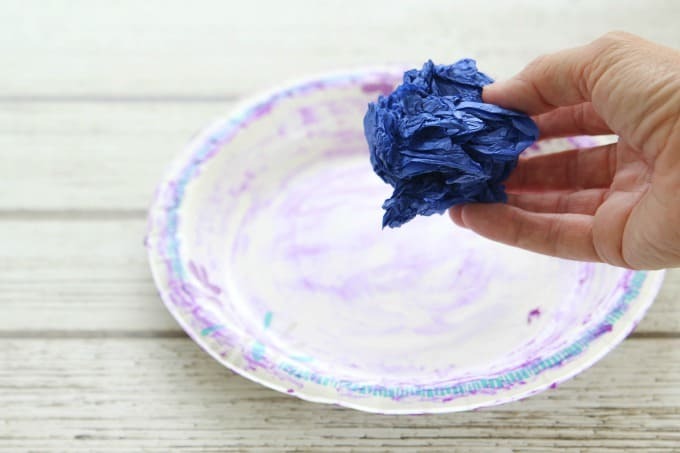 Our BTS Sparkle Paper Towels sure came in handy when things got a little messy! 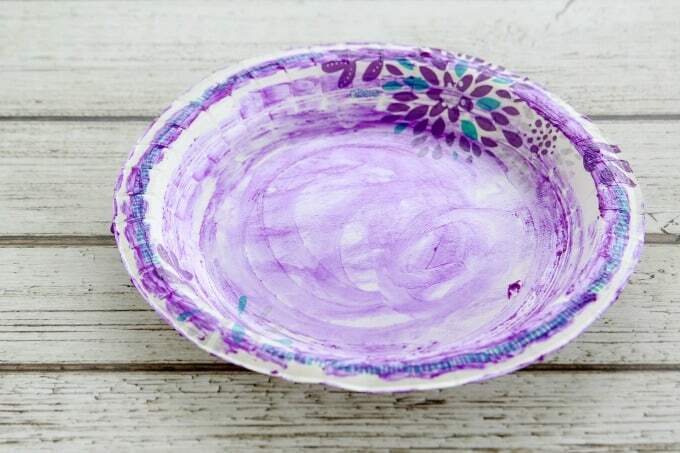 Crafting is the perfect way to spend some extra family time together and we had a lot of fun making these together. Keira was especially proud since she’d made hers without any help other than mommy cutting the sponge.! If you want to display your creation, can punch two holes at the top and insert a ribbon to hang it. Another option is to glue a button magnet to the back and put it on the refrigerator. 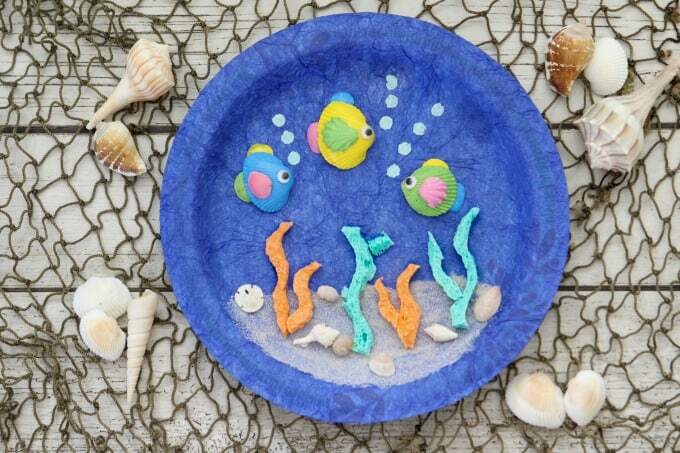 It makes cute kitchen decor and we may do this since we already have a coastal theme going. Between the glue, the sand and the paint, it got a little messy so I was really glad we’d just stocked up on paper towels. No wonder teachers go through so many of them! Don’t forget to swing by Dollar General if you’re looking for all the best deals for Back To School season. Georgia-Pacific brands represent good quality for a good price. Plus, how convenient is it to get all your Back To School needs all in one place and save money while you’re at it? You can even shop online, and have it delivered to your doorstep! How’s that for easy? 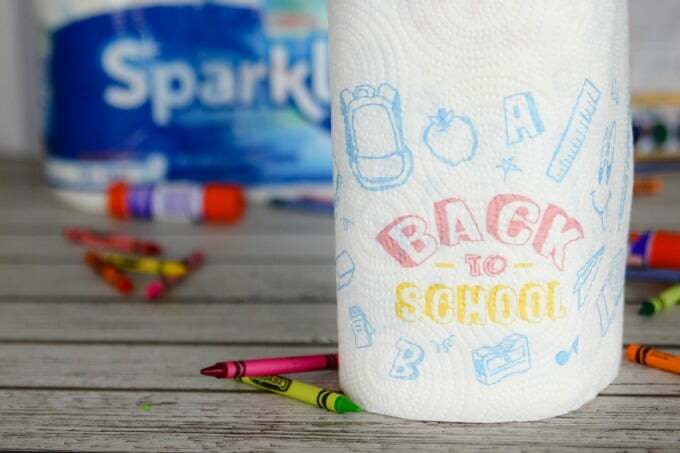 Do you do all your back to school shopping ahead of time or do you wait until the last minute? 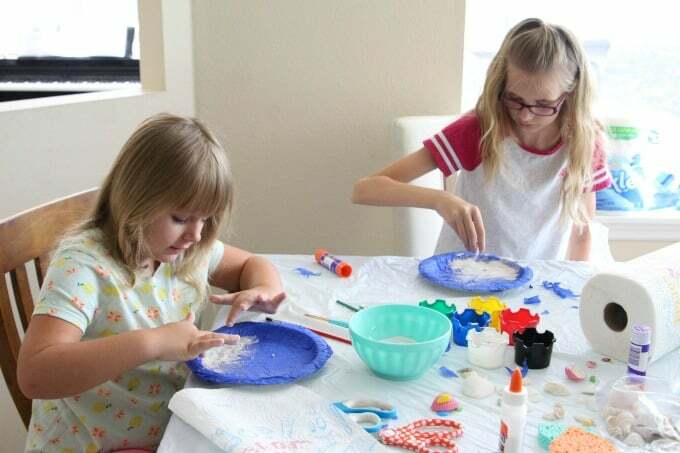 What fun things do you do with the family before school starts again? 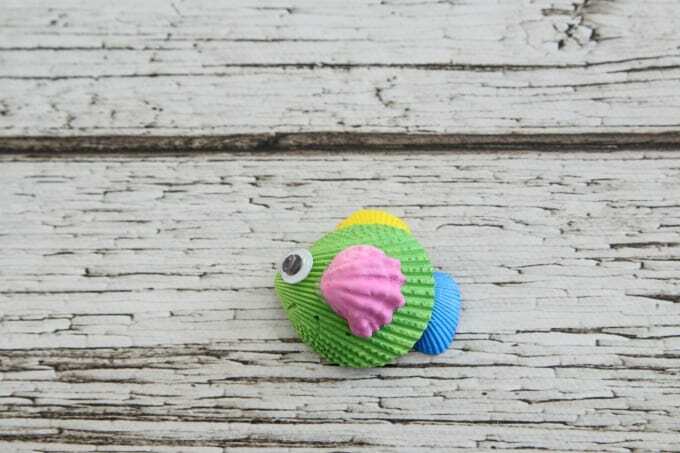 This is an adorable craft! What a fun way to spend time with the kids before heading back to school! What a cute idea! Now I know what we can do with all the shells we find at the beach. I love your tiny sand dollar. We can never find any intact.